Our highly trained dentists and staff are friendly and dedicated to your comfort. We stay up to date on new developments so that we can offer you the best care possible. Dr. Anne Fabricius is dedicated to providing her patients with customized high quality complete dental care. She offers her patients unique solutions that only a specialist can provide. Her additional three years of advanced training in prosthodontics gives her a mastery of the art and science of dentistry. Her goal is to provide beautiful, long-lasting and comfortable dental care for her patients. Dr. Anne Fabricius is a specialist in the repair and restoration of teeth and replacement of missing teeth. Dr. Fabricius has three years of advanced training beyond dental school and has successfully passed an extensive written and clinical examination to achieve board-certification status in her specialty. This exam is administered by the American Board of Prosthodontics. 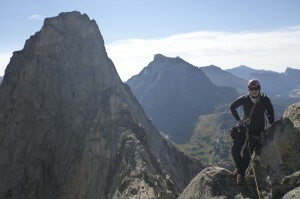 Dr. Fabricius enjoys teaching. She has been involved in teaching the partial denture, complete denture, and dental implant courses at the University of Illinois at Chicago. She maintains memberships to several study clubs. In her spare time, Dr. Fabricius enjoys climbing mountains. 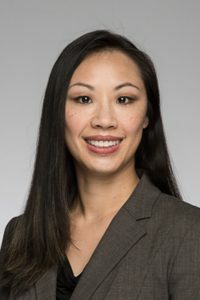 Dr. Stephanie Tsai, an Oak Park native, received her undergraduate degree from Loyola University in Chicago and then graduated with her D.M.D. from the Boston University School of Dentistry. Dr. Tsai completed her residency at Rush University Medical Center. While there, she focused on a range of specialties, including treating medically compromised patients, pediatrics, cosmetic dentistry, and an oral surgery rotation at John H Stroger Jr. Hospital of Cook County. 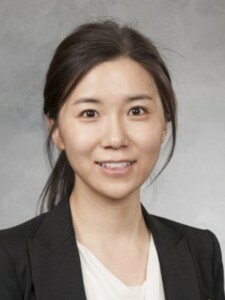 Dr. Tsai continued to work at Dental Group Ltd within Rush University Medical Center following her residency program. From there she joined TCA Health Inc, a community health center in Chicago, where she provided comprehensive treatment and served as Dental Director. Prior to joining Oak Park Prosthodontics, Dr. Tsai worked within other general and pediatrics dental practices. Dr. Tsai relies on her broad training and experience to offer comprehensive care in a comfortable and friendly environment. Dr. Tsai has extensive experience working with children to provide quality treatments and pleasant visits. Dr. Haein Kil has a passion for general dentistry and treats both adults and children. She is particularly talented with children and is able to keep their visits enjoyable while providing high-quality gentle care. She has extensive experience with the use of nitrous oxide (laughing gas) and is particularly talented with direct restorative procedures, such as fillings.